iTek' application services deliver IT-enabled business solutions to help customer derive maximum value from IT spend. iTek services span the application lifecycle, combine rigorous processes based on industry standard frameworks (defined by SEI-CMMi) with domain expertise, best-of-breed methodologies, structured knowledge management, tools and IP developed by iTek’s Centers of Excellence and the Global Delivery Model to deliver world-class solutions. 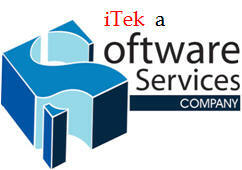 iTek' Architecture Services enable enterprises to eliminate Business-IT alignment dysfunction. We partner with our customer to develop Enterprise Architecture (EA) solutions that translate customer’s corporate strategy into an effective IT strategy. iTek' Independent Validation Services test every transaction from every angle, optimally, to deliver high quality, near-zero-defect applications. 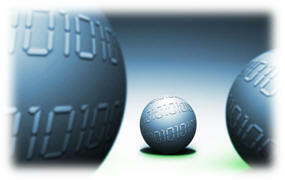 They provide cost efficiencies and ensure high reliability, availability and stability of applications. iTek' Information Management services enable organizations to derive insights from information, leading to informed decision-making, regulatory compliance and business effectiveness. iTek’ IT infrastructure package implementation services help organization to automate its value chain through off-the-shelf application packages to seamlessly achieve desired business benefits. iTek provides end-to-end Infrastructure Management Services. iTek global delivery model and a process-driven approach optimize the full spectrum of your infrastructure support requirements. iTek Systems Integration services ensure tighter business-IT alignment, business results-oriented solutions, effective information management, better return on existing investments, and increased focus on cost and revenue management.